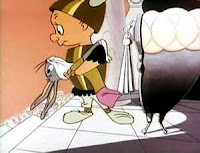 Although Merrie Melodies most likely began as Warner Brothers Animation's own Looney Tunes styled response to Walt Disney’s Silly Symphony cartoon shorts that dominated the Academy Awards during their triumphant ten year run from 1929 to 1939, WB’s Melodies struck a popular chord with audiences so much so that the series (which began in 1931) lasted until 1969. Acclaimed one-reel shorts that thusly never ran longer than ten minutes, Warner’s Merrie Melodies define the golden age of animation for the studio. Daring in their musicality yet familiar in their packaging, the shorts – which starred some of the Looney Tunes most beloved characters (from Bugs Bunny and Elmer Fudd to Porky Pig and Speedy Gonzales) –grew even more celebrated with each passing year. 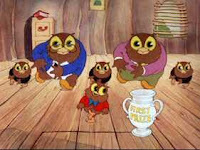 Frequently serving as their youngest viewer's earliest introduction to the world of classical music, the Merrie Melodies, which also took their cues from (and likewise inspired) the feature length Hollywood musicals they played alongside theatrically, additionally helped pave the way for the rock docs and music videos that would follow. Breaking cultural barriers, the eighteen animated shorts included in this one disc collection feature everything from jazz and opera to piano concertos and the blues, illustrating the diverse range of the series. 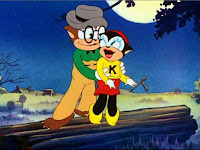 Framing the action as part of a chase in some of their most popular hits (not unlike the way their biggest 1940’s rival, Metro Goldwyn Mayer did with their historic Tom and Jerry releases), the ingeniously crafted Merrie Melodies made each and every genre accessible to viewers of all ages and levels of musical education. Boldly removing dialogue here and there, such as in a bulk of the revered classic Rabbit of Seville, the master craftsmen working behind the scenes strove to bring the emotion of the music front and center with each successive release. Yet as entertaining as the diverse titles were, one of Merrie Melodies' greatest achievements was in the way it would routinely drive home the fundamentals of rhythm and tempo right alongside the story's tongue-in-cheek plotlines and occasional lessons about empathy, hard work, respect, and love rolled into the laughs. Of course, not every offering had a larger moral behind it as we quickly discover in the often heavily censored, violent Ozarks set square dance Hillbilly Hare. 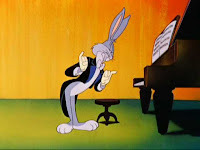 Wisely lessening the shock value of the short, (which like a few others hasn't often seen the light of day as part of the overly crowded archive collection), Hare plays right after the 1957 Chuck Jones helmed masterpiece, What's Opera, Doc? that was selected as the "greatest cartoon ever made" in a 1994 research study voted on by a thousand professionals working in the field of animation. No stranger to the art form or devising great chases, having directed some of the best Tom and Jerry shorts in MGM history, it's always a thrill to see the Jones classic in all its glory. One of three Merrie Melodies shorts included in the Library of Congress's National Film Registry along with the Jones directed One Froggy Evening (which happens to be featured on this DVD as well) and Duck Amuck, Elmer Fudd's familiar strains of "Kill the Wabbit" in What's Opera, Doc? are instantly recognizable for generations of viewers. 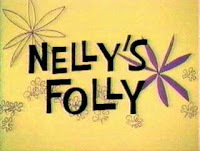 Although it's missing Duck Amuck as well as the trio of Merrie Melodies that garnered Warner Brothers Academy Awards in the category of Best Original Short, the inclusion of the still heartbreakingly beautiful Nelly's Folly, among other rarities, is a bonus. Nonetheless, the order of the shorts is a bit awkward in places throughout the lengthy presentation. 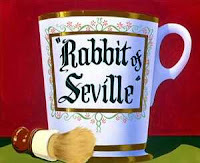 For, following the intelligent back-to-back listing of two send-ups of Walt Disney's Three Little Pigs made fifteen years apart that involve a shared character, WB’s enjoyable Oscar nominated Rhapsody in Rivets, which plays best as a prequel to Rhapsody Rabbit is positioned eleven tracks after what should technically be its follow-up title. Boasting optional commentary tracks for the shorts including a few multiple offerings and special features for some of the disc's most iconic works, Musical Masterpieces is a thorough release that will appeal to a wide array of viewers from children to casual fans and cinephiles alike. 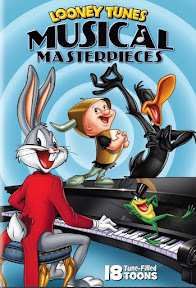 And given that this is a phenomenal 133 minute plus introduction to the dying art of animated theatrical shorts, I only hope that this is just the first in a series of Looney Tunes: Musical Masterpieces releases that will make their way to DVD (or better yet, Blu-ray). 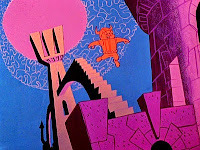 Created in the era of the talkie (as silent films merged with the music that was often performed live in movie-houses across the country), the Merrie Melodies collected here serve as an entertaining and informative reminder of just how innovative the field of animation, medium of short film, and particularly the genre of musical movie-making can be.